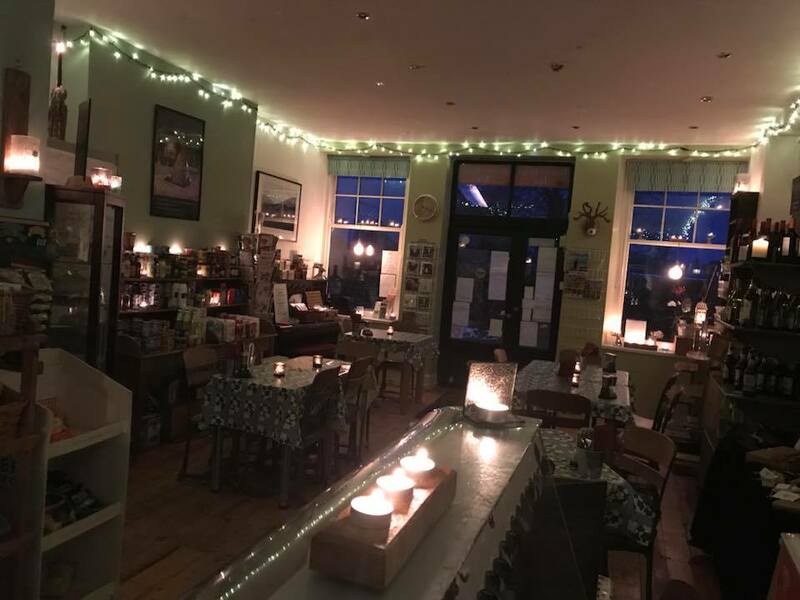 With imaginative rustic dishes for you to enjoy by candlelight in our store at Barbon, our Friday Night Bistro has really taken off! Open from 6pm with last orders at 8pm. We change the menu every Friday to reflect seasonal produce and we try to accommodate all dietary requirements. There are at least two vegetarian options on the menu each week. With only 24 covers at the Bistro, we recommend you book in advance. We can cater for larger tables and we also offer the Bistro for private parties. In the warmer months, we use our covered outdoor terrace for guests to enjoy a drinks and a snack in the early evening sunshine. Fully licensed, we offer beers from Kirkby Lonsdale Brewery and Skipton Brewery; a wide range of wines by the bottle and the glass; a range of spirits and soft drinks. Our welcome is very warm and we would be delighted to serve you. Looking forward to seeing you soon.